We stayed along the Embarcadero near the Bay Bridge during our trip to San Francisco. This gave me a chance to shoot some early morning long exposures of the San Francisco Bay. I photographed the Bay Bridge at sunset the last time we visited San Francisco so it was nice to catch a couple sunrises this time around. Here are three of my favorite images shot on two consecutive mornings with the Fujifilm X-T1 and XF 14mm and 60mm lenses. La Jolla has become one of my favorite places to shoot over the last couple of years. From the Scripps Pier to Seal Rock, there are plenty of interesting photographic opportunities to be found along this stretch of the California coast. During my most recent outing, I headed to Coast Boulevard Park to catch the sunrise and to photograph the rocky shoreline in the day's first light. I don't get to watch the sunrise as often as I like, so it's always a treat to watch the sky change colors as the sun begins to make its way over the horizon. Here are a set of long exposure images from my morning in La Jolla shot with the X-T1 and XF 18-55mm. Since the Fujifilm X-T1 was announced in January, I've been on the fence about purchasing one to replace my X-Pro1. As much as I like the X-Pro1, the fall it took in September last year seems to be slowly taking its toll. After considering my options, I went ahead and ordered the X-T1 kit which includes the XF 18-55mm lens. 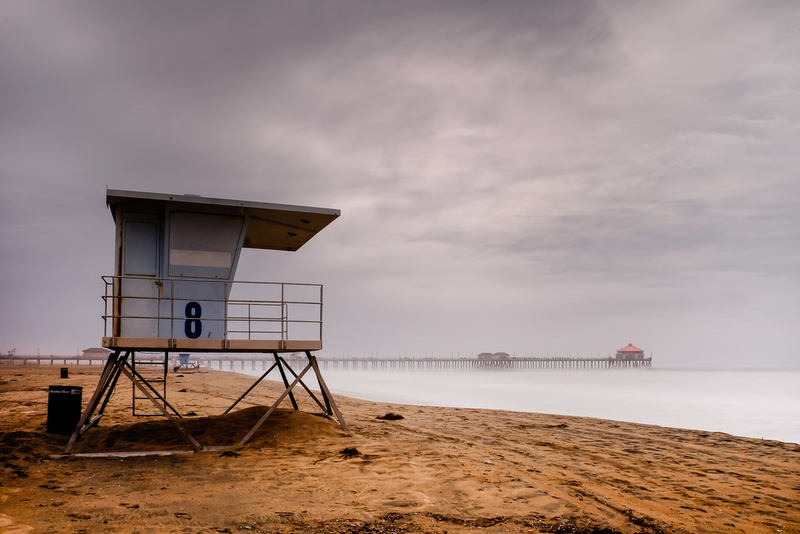 My X-T1 arrived Friday and this past weekend, during a break in the rain, I took it along with the XF 18-55mm to Huntington Beach to shoot a few long exposures. After one morning of shooting, here are my first impressions on using the X-T1 for long exposure photography. The Images - no surprise here since the X-T1 uses an updated version of the X-Pro1 sensor which is also in the X100S. I haven't processed any RAW files yet since they aren't supported in Lightroom, but the JPEGs are typical Fuji. The Viewfinder - I'll be honest, I was a little underwhelmed by the new electronic viewfinder at first. Perhaps, my expectations were too high because of all the glowing reviews I had read. Once I put it to use at Huntington Beach however, I started to see and understand what all the fuss was about. In good light, the viewfinder along with all its new technology is really something to behold. Since I often focus manually when shooting long exposures, the new dual screen display made checking focus much easier. Especially now that I can set the focus peaking color to red, what a difference! The Tilting LCD - this is definitely a nice addition. Not something I needed, but it really does help when shooting on a tripod. I found the display a little dim when I was composing in bright sunlight, perhaps I should've adjusted the brightness setting. In any case, I ended up using the EVF when this was the case so having both options was a big plus. The ISO Dial - on the X-Pro1 and X100S, I leave Auto ISO on unless I'm shooting long exposures. To make things faster and easier, I program one of the custom settings on both cameras to set my ISO to 200. 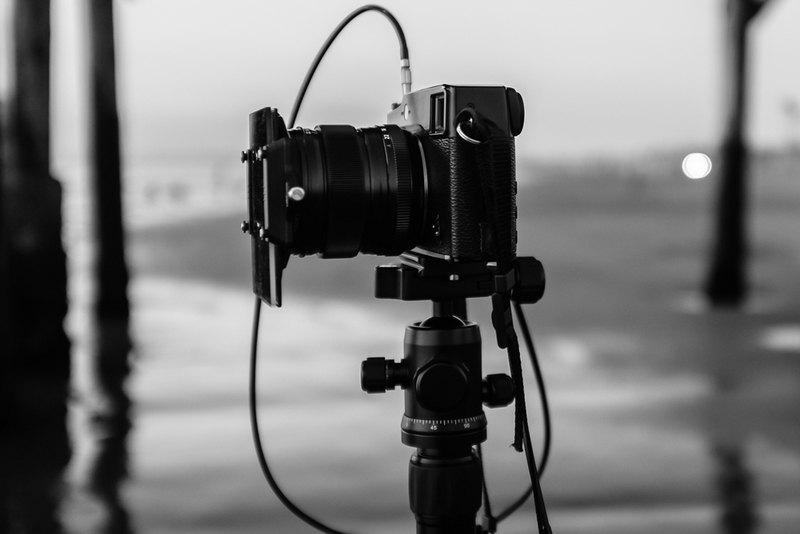 With the X-T1, this wasn't necessary since it can now be done with the turn of a dial. The locking ISO dial works for me because I don't need to change my ISO very often or very quickly. For those that need to change ISO frequently, the lock button on the ISO dial may slow things down a bit. The Buttons - by far, my biggest complaint about the X-T1 are the buttons, especially those on the 4-way directional pad. They are too recessed and don't provide enough feedback to know when they've been pressed. I understand that changes were probably necessary to accommodate weather sealing, but these are the buttons many people use the most. I now find the task of changing my AF point to be a more difficult and slower process. While this isn't a deal breaker for me because my subjects tend to be stationary, it may be for those that need to change their focus point quickly. The Threaded Shutter Button - or lack there of, most likely another trade off to accommodate weather sealing. This won't matter to some, but for anyone that wants exposure times exceeding 30 seconds, a $50 remote from Fuji is now required (at least until something cheaper comes along). As you can see, the good for me outweighs the bad. While the X-T1 isn't perfect, it does offer several improvements for long exposure photography over the X-Pro1. The biggest ones being the new EVF and tilting LCD. Are these must have improvements, not by any means. But since I was in the market for a new camera, they are certainly welcomed. My recommendation to anyone considering the X-T1 as an upgrade from the X-Pro1 or X-E1/2 is to try it out in the store first. While the new EVF really is great, it may not be enough to warrant an upgrade. Especially if you are using an X-E2 which already has the updated X-Trans sensor found in the X-T1. 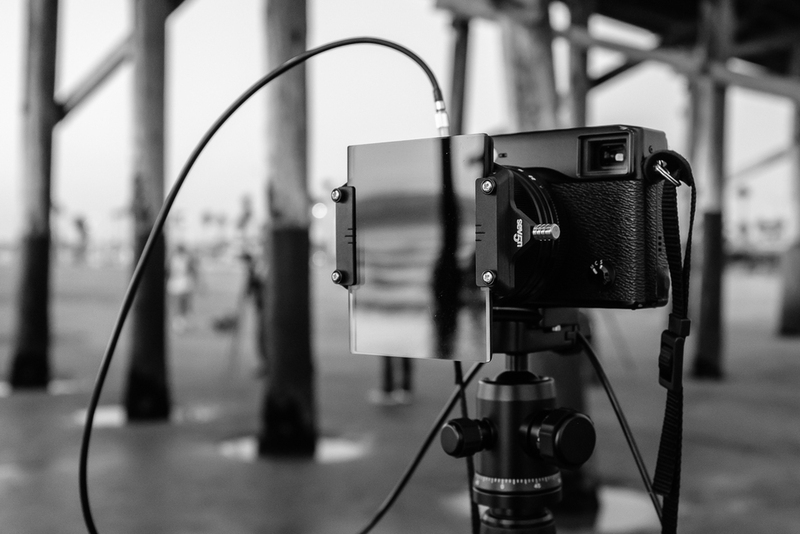 With that, I'll leave you with my first long exposure images from Huntington Beach shot with the X-T1 and XF 18-55mm.